Gombe national park is situated in western kigoma region, Tanzania on the wild shores of Lake Tanganyika. It is most famous for Jane Goodall, a primatologist who spent years in this forest studying more about the endangered species. The main attraction in Gombe national park is chimpanzees but there are also primates like beachcomber, blue tailed and red tailed monkeys as well as vervet monkeys with about 200 species of birds. Bushpigs, snakes, leopards and hippos can also be seen in this park. The areas is covered by steep valleys and its forest vegetation ranges from grassland, woodland to tropical rainforest and it is only accessible by boat. The park is the smallest of all national parks in Tanzania in the northern shore of Lake Tanganyika where you can swim as well as watch almost 350 kinds of colorful cichlid fish. 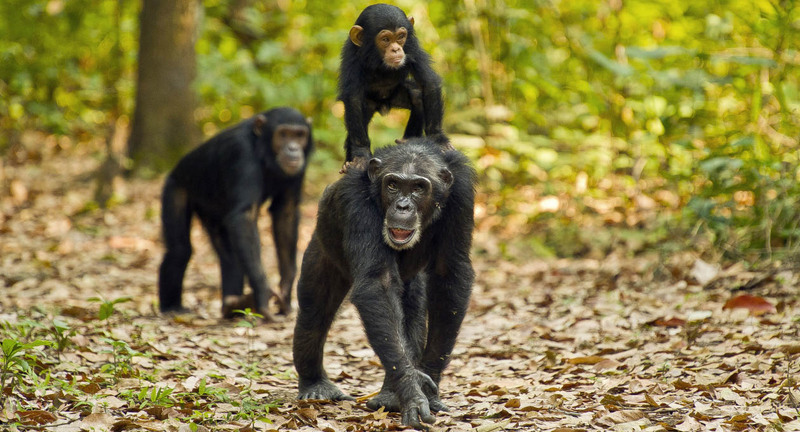 Chimpanzee trekking is the main activity carried out in Gombe national park but you can also walk the shoreline close to the resident baboons, see waterfall and swim in the lake. Apart from chimpanzee trekking, you are able to sight beautiful primates like the blue and red tailed monkeys, colobus. Birding is one of the activities with over 200 bird species in Gombe national park including the common African Fish eagle, the Common paradise flycatcher, Tropical boubou, Livingstone’s turaco, African broadbill, double-toothed barbet, crowned eagle and Golden-rumped tinker bird. The best time for bird watching in Gombe national park is in November to April as the migratory birds flying from Europe and the northern part of Africa arrive. Lake Tanganyika, the longest and deepest lake in Africa harbor about 350 fish species which are endemic offers sun bathing and sun set viewing opportunity at its shores. It also has magical waterfalls like Kakombe and Mkenke waterfall. Accommodation varies from luxury, mid range to budgeted lodges or hotels depending on your budget during the trekking. There are many hotels/ lodges that can accommodate you while in Gombe for example Gombe forest lodge, Mbali mbali gombe lodge, Mbuzi mawe serena camp and Gombe bandas. These places have friendly and warm welcoming staff members who will give all kinds of hospitality in Tanzania. The rooms have bathrooms, hot tabs and toilets. Note that inside Gombe, there is only one rest house and a luxury tented camp. Gombe national park can be visited at any time of the year but the chimpanzees don’t move very far during the wet seasons of February-June, November-mid December so they easy to find but dry seasons of July-October and December they move in search of water and food . It is also the best period for taking clear photographs. WHAT TO WEAR WHEN VISITING GOMBE NATIONAL PARK. Bring the right clothes for the tour to avoid regrets. You should pack lightly and make smart choices about the clothes to carry for the trek. You are recommended not to wear bright, white and dark colors but to bring neutral clothes like khaki, mid-tone brown, olive and green colors. Make sure that you carry along long pants, long sleeved shirts, socks, shoes and gardening cloves to reduce the chances of being pricked by thorns or sharp plants and stones. Mosquitoes and tsetse flies are common in Tanzania so do not forget to carry an insect repellent with you before travelling. Hiking boots and water proof sneakers are as well recommended for game drives for utmost comfort due to the rugged round exposure in Tanzania. The easiest and quickest way to get to Gombe national park is by use of a boat from Kigoma town or you might book an international flight to Kilimanjaro International Airport found in Arusha or Julius Nyerere International Airport in Dar es salaam. You can take a public motor boat or a lake taxi from Kigoma to the park with a distance of about four hours. However in most cases your operator book for you an ongoing domestic flight to Kigoma Airport and will get a private motor boat to Gombe which will take less than an hour. Charter flights are usually booked by tour operators as part of the tour package while domestic flights to Kigoma can be booked with many local carriers.